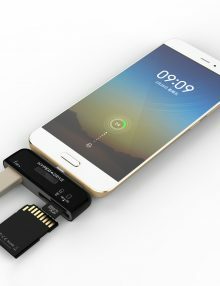 Đầu chuyển bao gồm những tiện ích kết nối gồm khe thẻ nhớ SD, microSD. 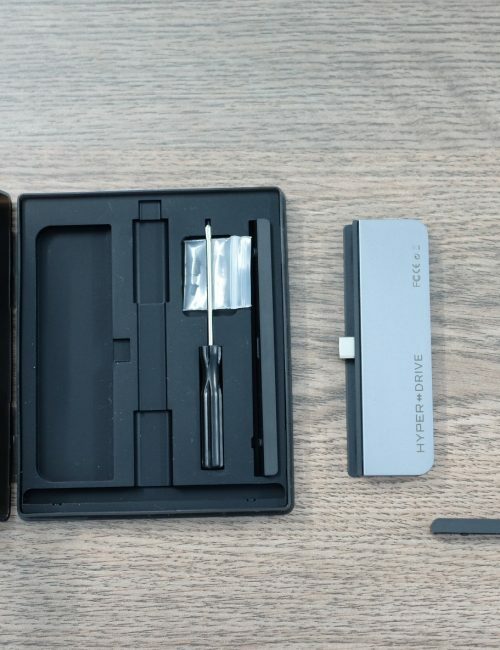 Với tiện ích này anh em có thể dễ dàng thêm ảnh từ thẻ nhớ vừa chụp trên máy ảnh, máy quay. 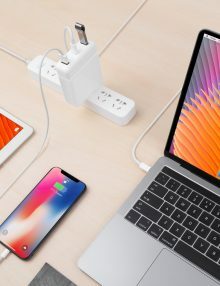 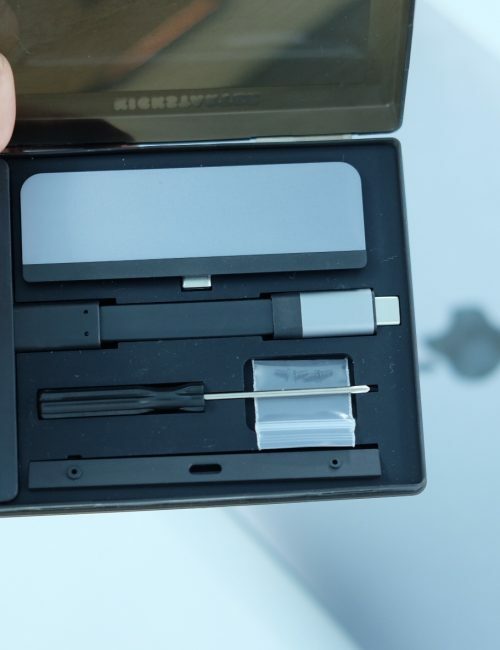 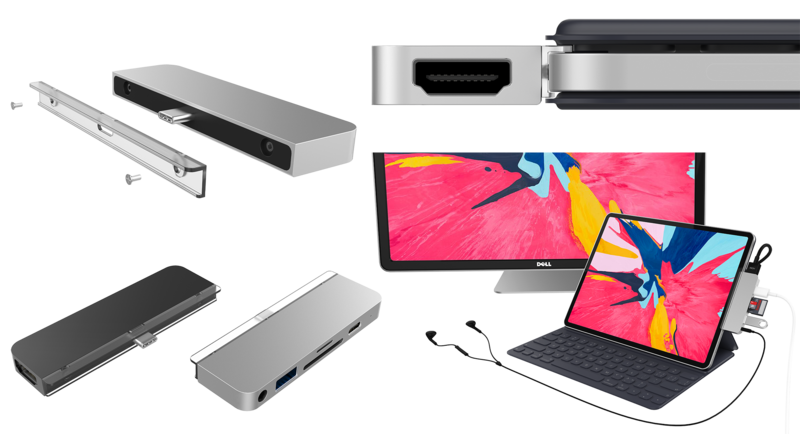 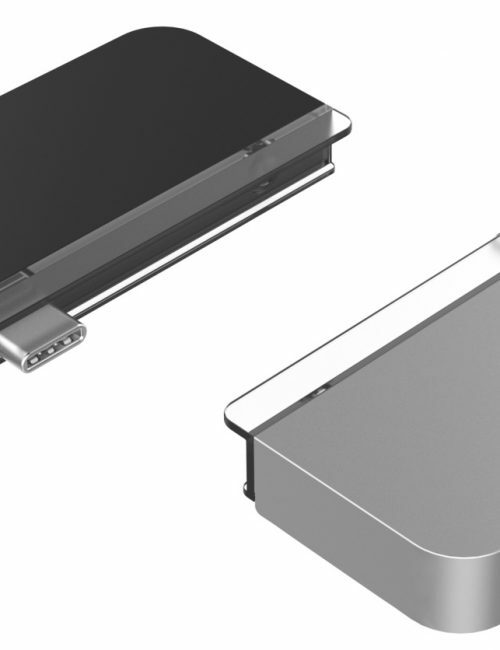 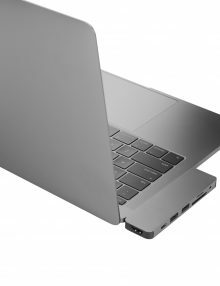 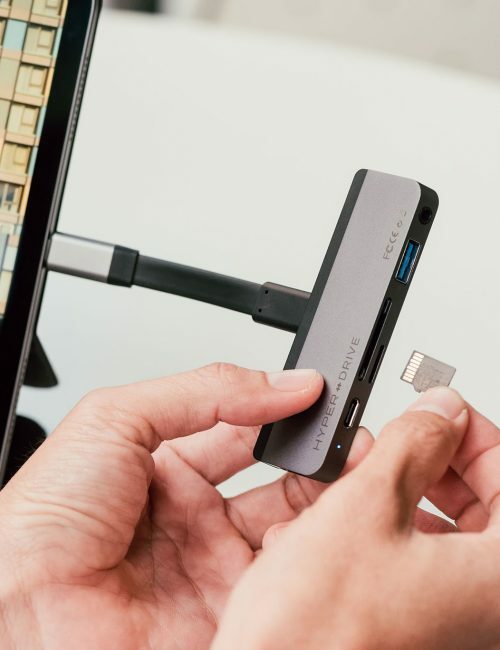 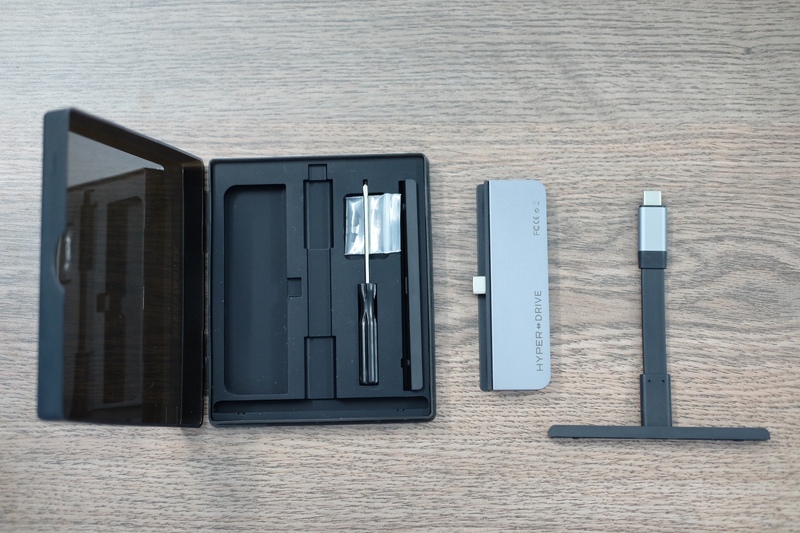 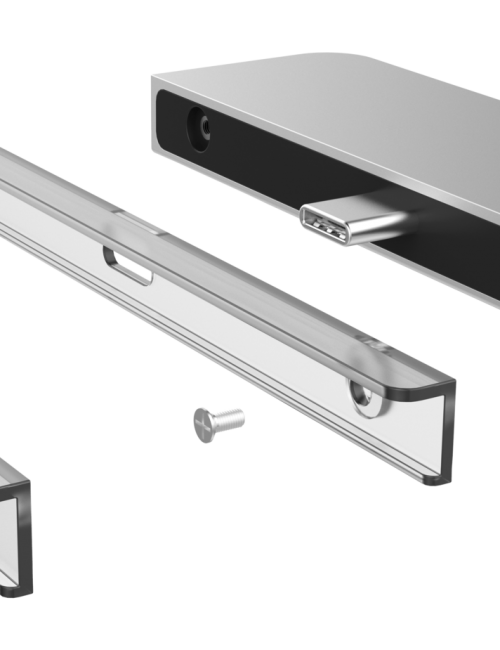 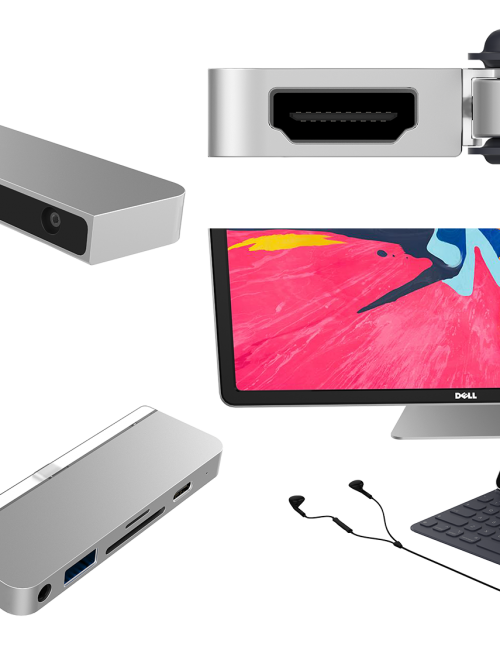 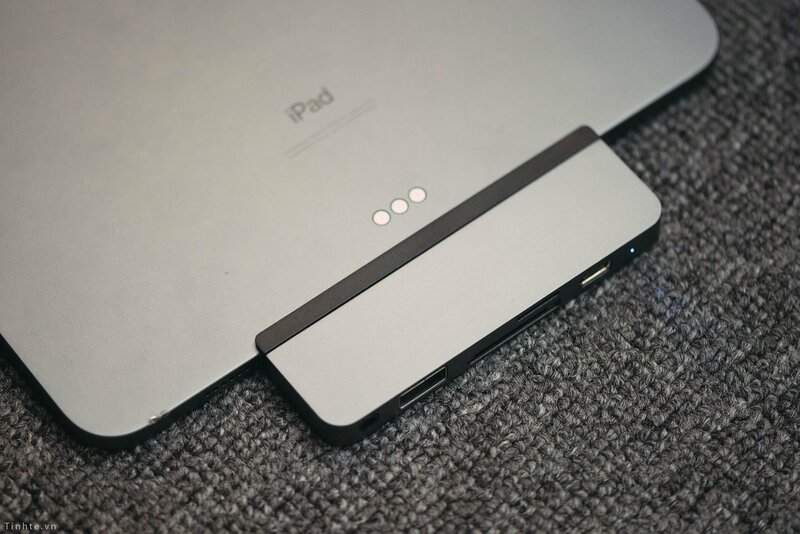 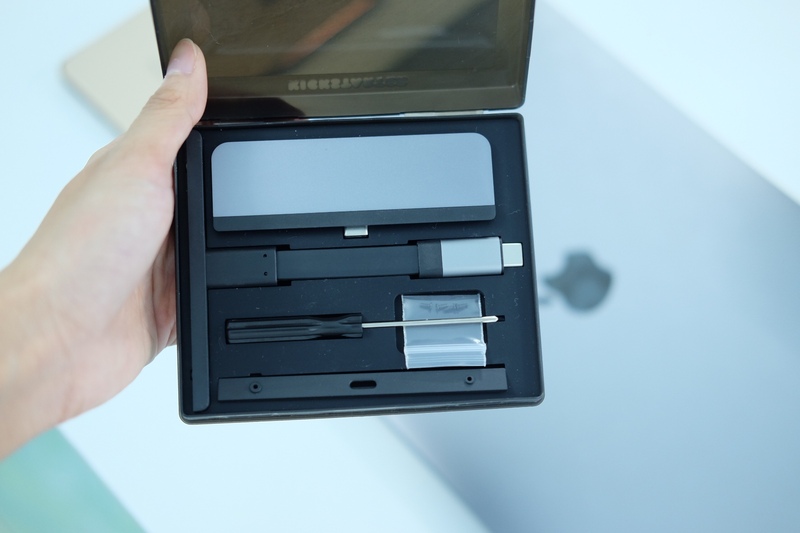 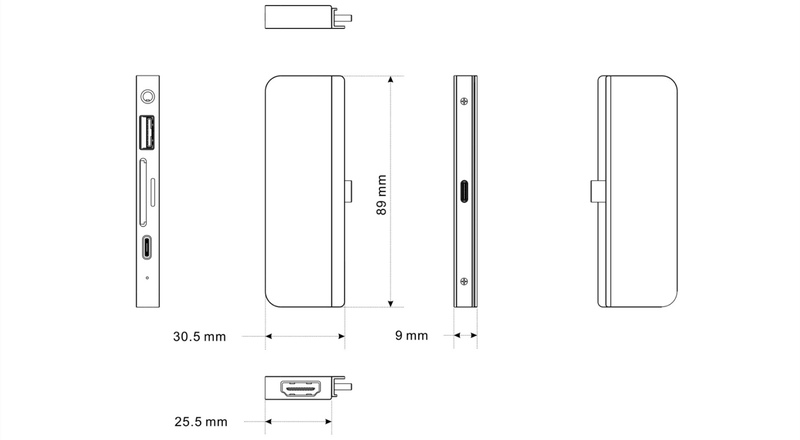 Monday, November 5th, 2018 FREMONT CALIFORNIA: HYPER by Sanho Corporation – makers of the world’s first and most crowdfunded USB-C hub for MacBook Pro – announces its latest HyperDrive USB-C Hub that connects directly to the new 2018 iPad Pro to add 6 new ports: 4K HDMI, 3.5mm Audio Jack, SD, Micro SD, USB-A 3.0 and USB-C Power Delivery. 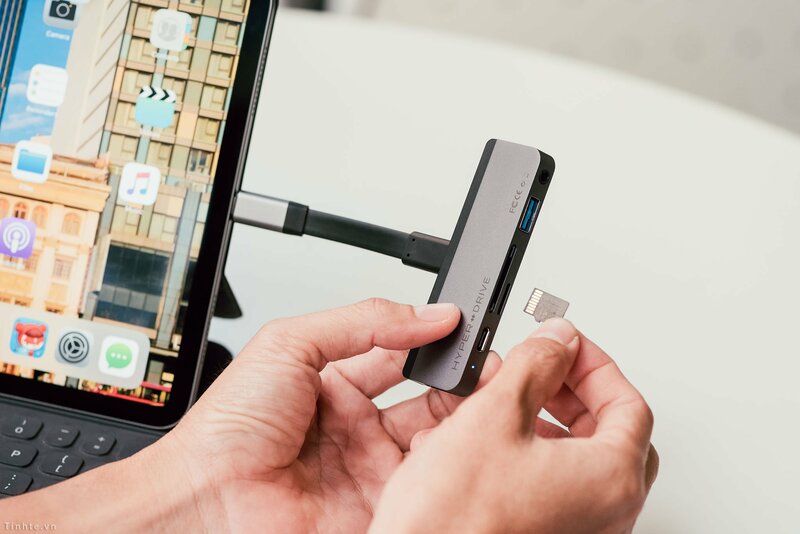 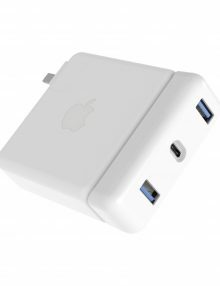 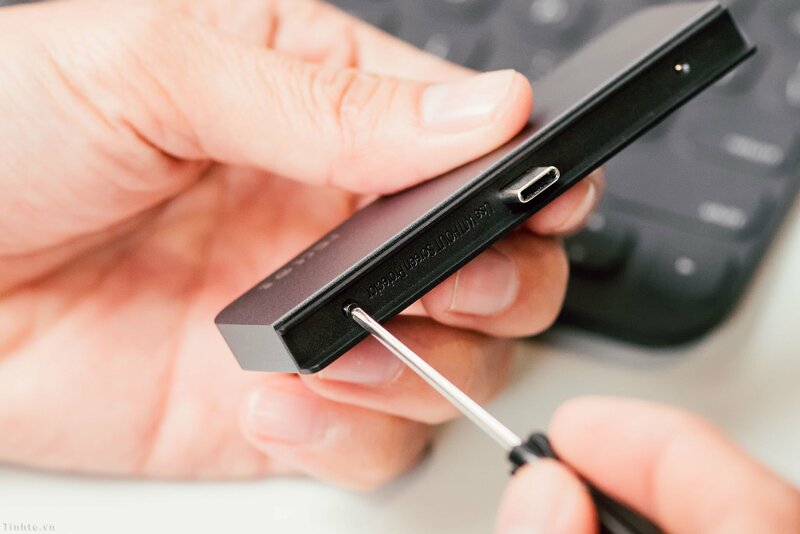 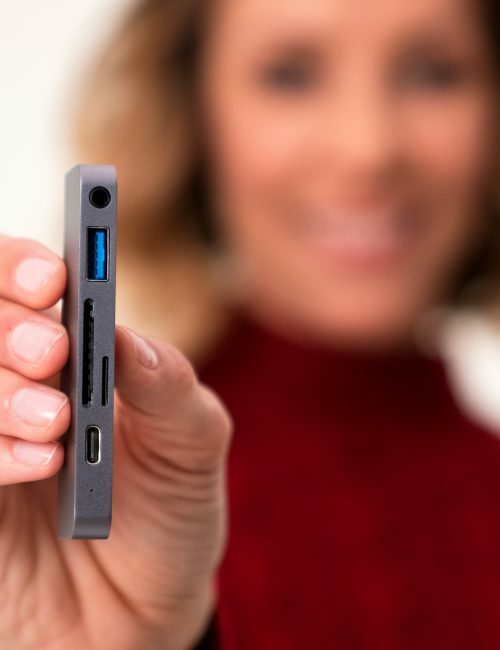 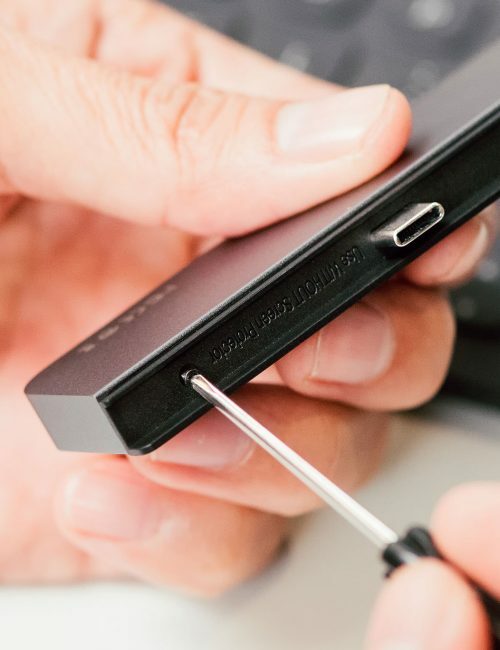 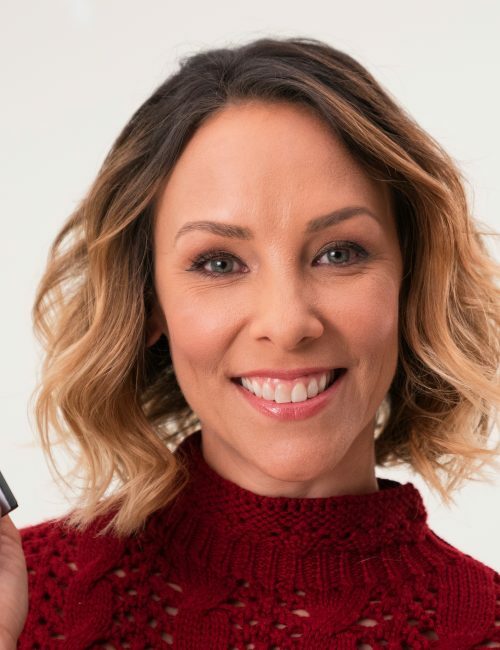 The compact HyperDrive plug-in adapter features a unique (worldwide patent pending) removable and replaceable C-shape grip that holds the USB-C hub securely in place. 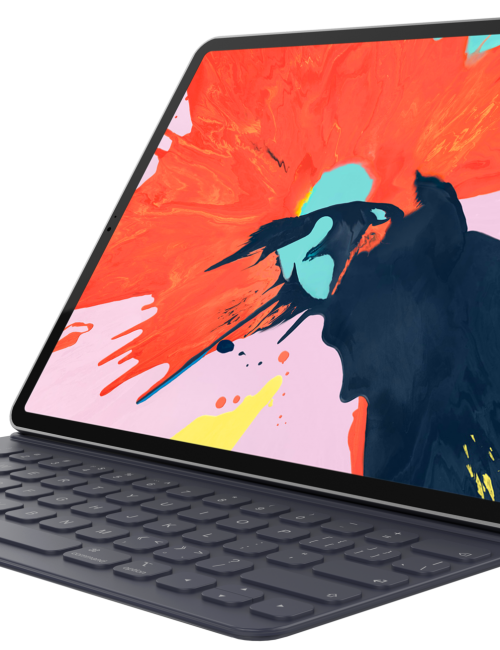 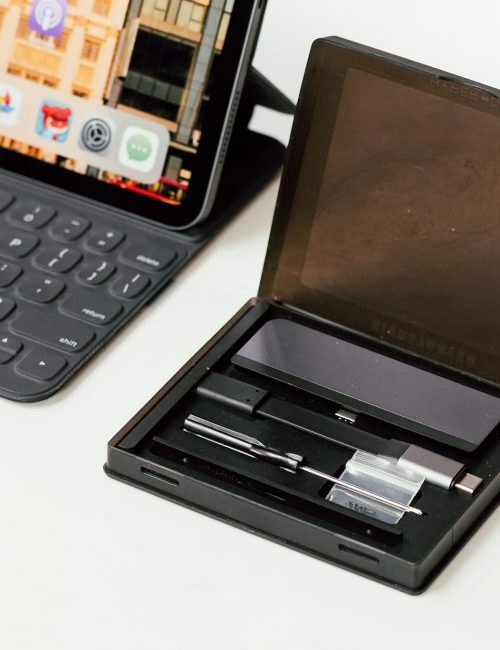 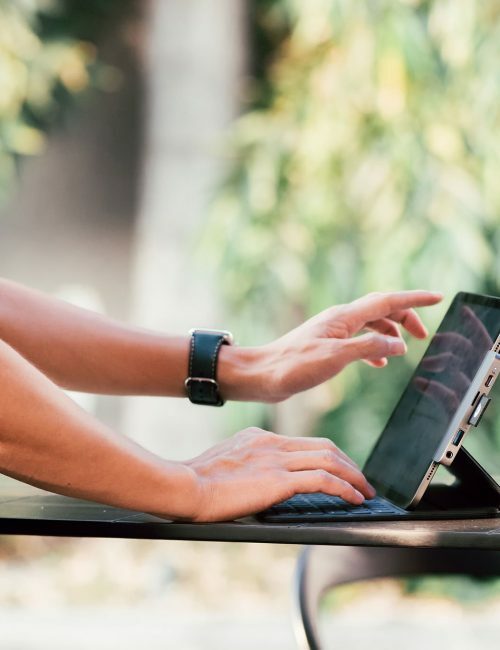 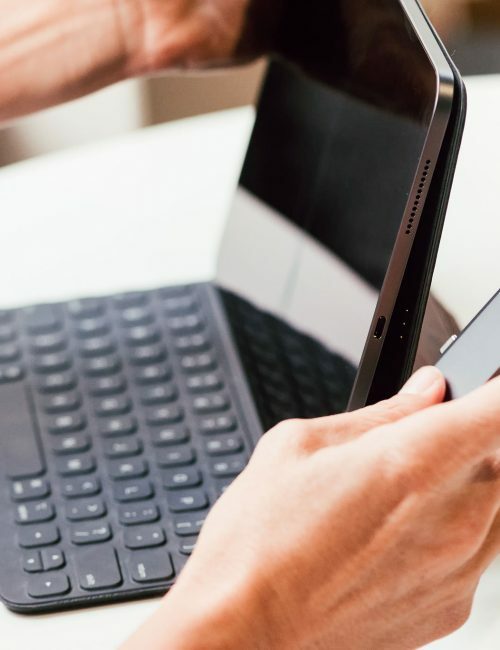 Users can safely leave the HyperDrive connected to the iPad Pro to have access to all the ports they need, without worrying about dangling cabled dongles. 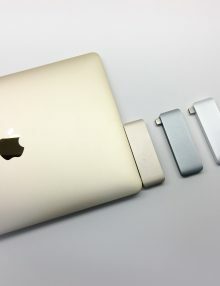 Only to realize you would practically need a dongle for everything! 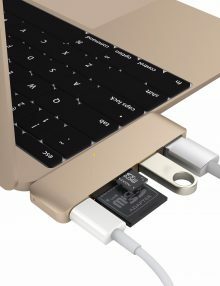 Simultaneously connect HDMI, USB-C, microSD, SD, USB-A and 3.5mm audio . 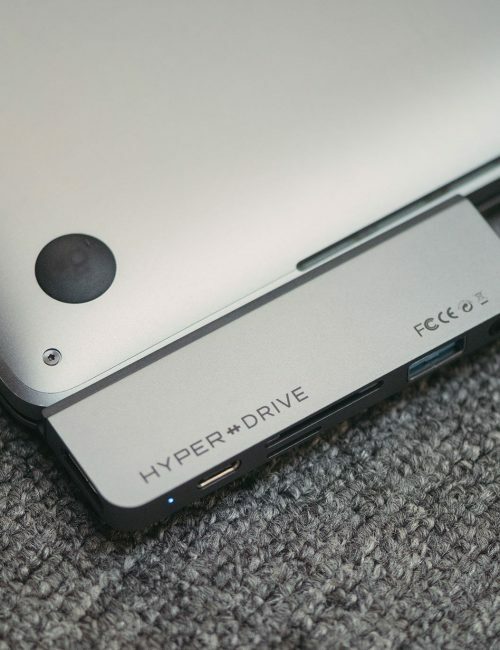 All while charging at full speed through HyperDrive. 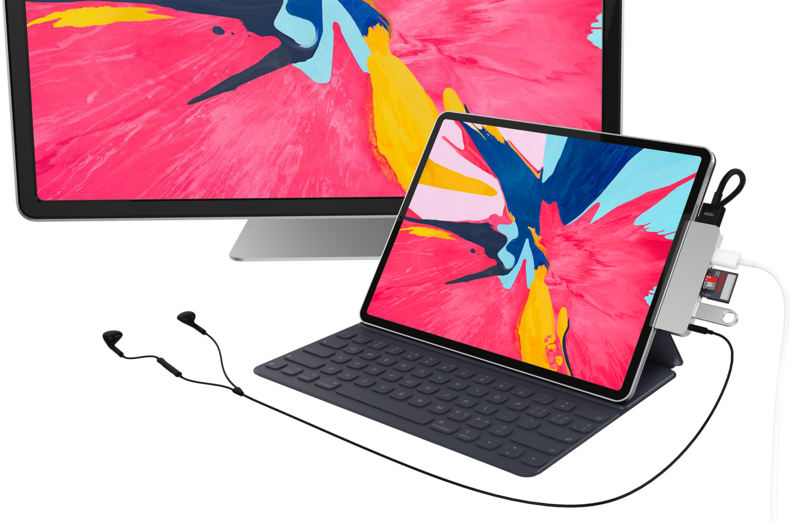 Having multiple dongles means that you now have more items to manage on top of your iPad Pro, which increases the risk of misplacing them as you move around. 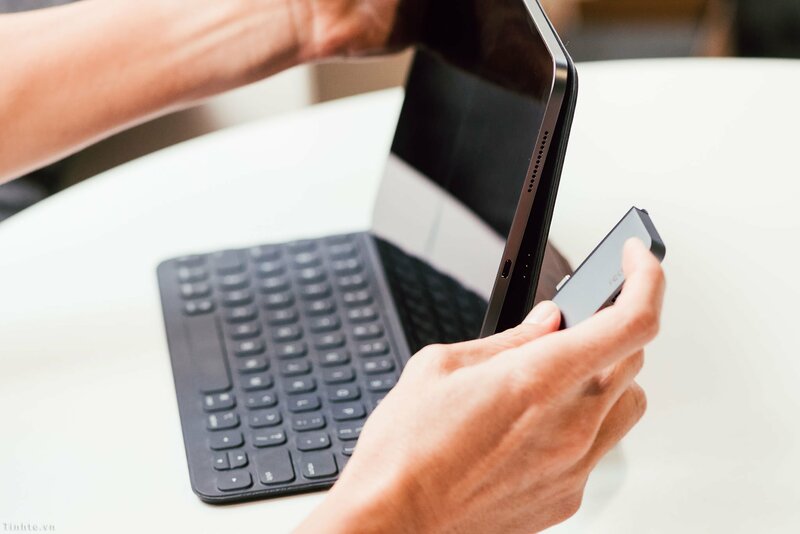 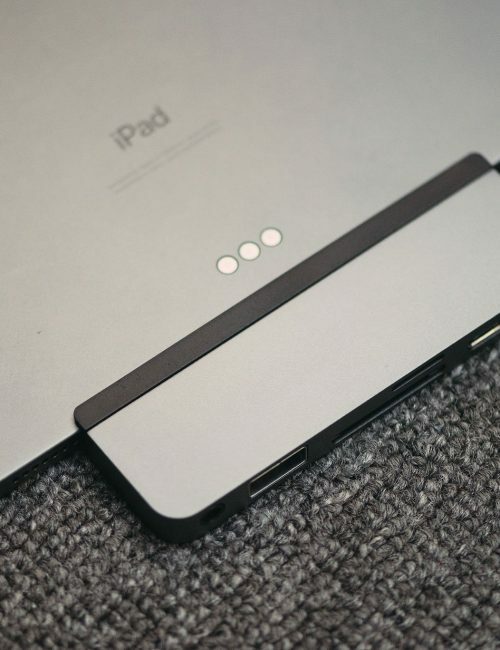 HyperDrive is designed to be compact enough to stay with your iPad Pro wherever you go. 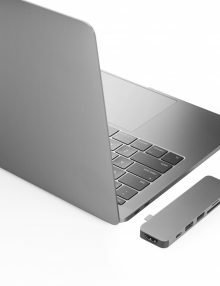 Don’t look silly with dongles. 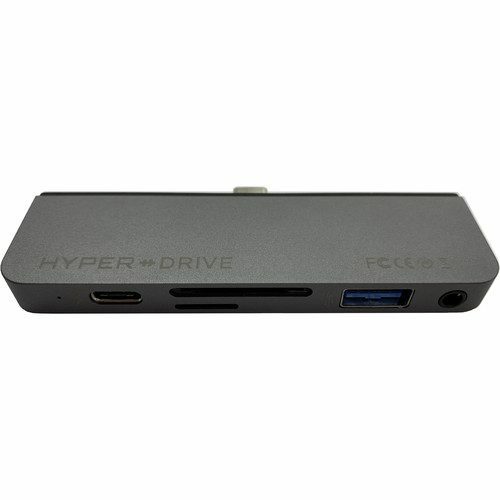 Just go with HyperDrive! 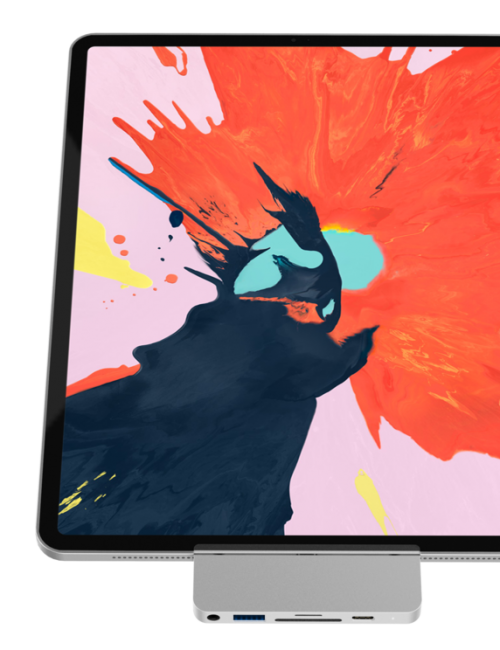 We wanted HyperDrive to feel like a natural extension of the 2018 iPad Pro with similar product lines, thickness, right angled edges and rounded corners. 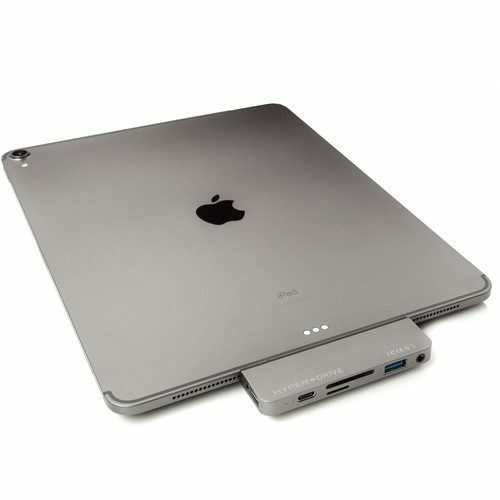 As the 2018 iPad Pro only has a single USB-C port for the HyperDrive to latch on, we had to come up with an innovative solution to secure HyperDrive onto the iPad Pro. 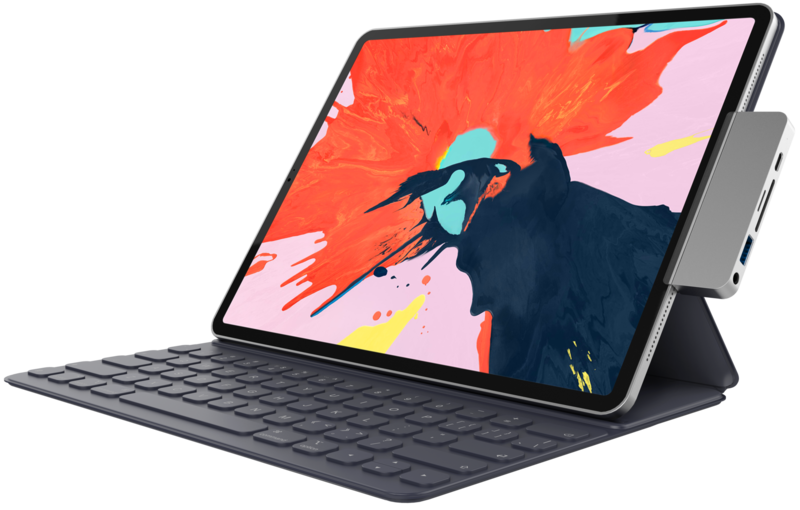 The end result is a sleek, minimalist design that perfectly matches the 2018 iPad Pro with almost the same thickness, with removable soft grips that secures the HyperDrive onto the iPad Pro without interfering with its or the Apple Smart (Keyboard) Folio functionality. 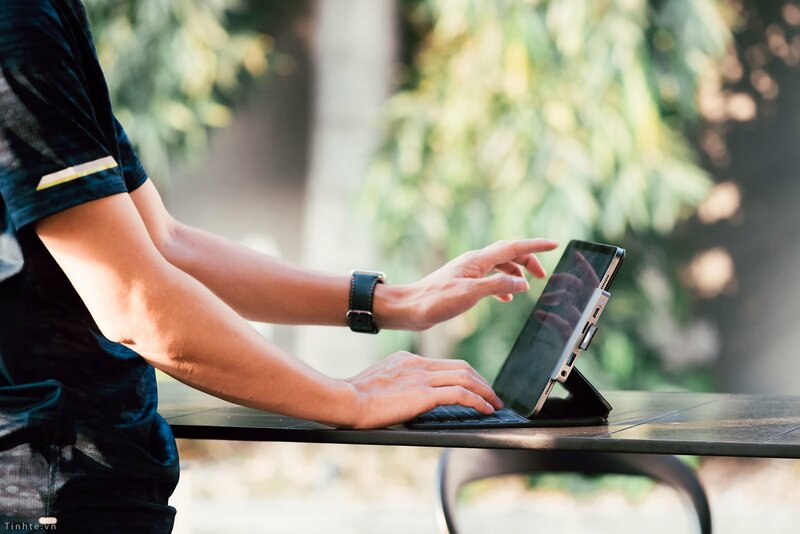 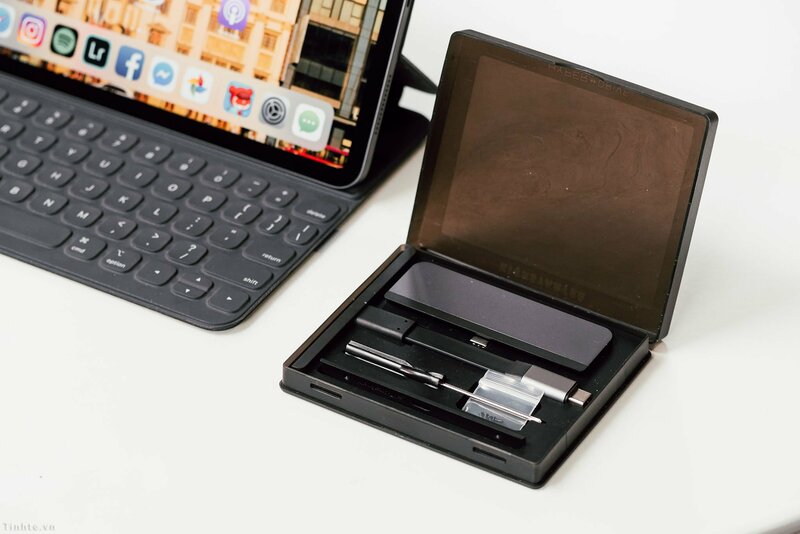 The Worldwide Patent Pending removable grip design also allows HyperDrive to be used with other iPad Pro cases or other USB-C devices and allows for future accessories like an extension USB-C cable to the HyperDrive. 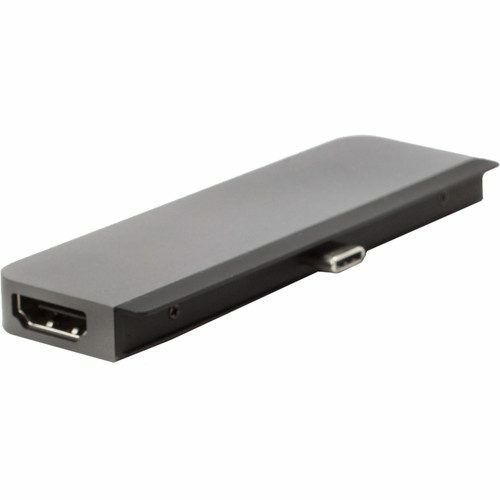 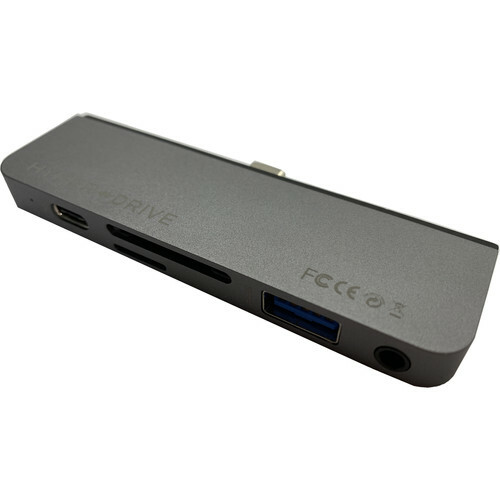 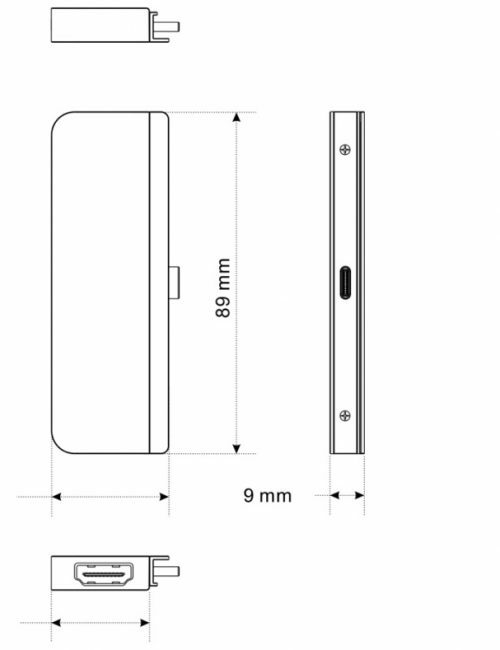 We decided to go with popular output ports (HDMI, microSD, SD, USB-A) most requested by users. 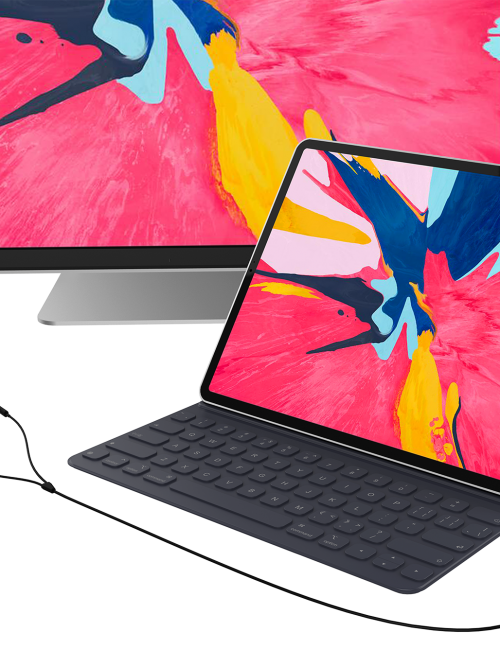 Although HyperDrive takes up a USB-C port on the iPad Pro, it also returns a USB-C port as well, which supports USB-C 5Gbps data and up to 60W power delivery pass through charging through HyperDrive. 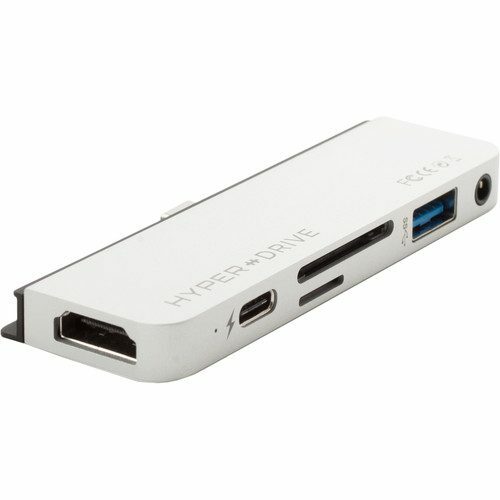 The following unedited single-shot video demonstrates a fully functional pre-production HyperDrive with all (HDMI, USB-C, microSD, SD, USB-A, 3.5 audio jack) ports working. 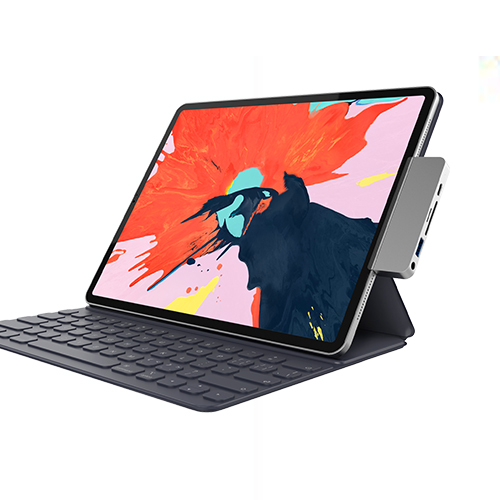 Using HyperDrive, the iPad Pro is able to connect to a HDMI display, connect to an external speaker via 3.5mm audio jack, import photos/videos from USB-C/USB-A flash drives and microSD/SD memory cards, all while being powered by a USB-C power source. HyperDrive for iPad Pro is plug-n-play and interfaces directly with iOS, with no additional apps required. 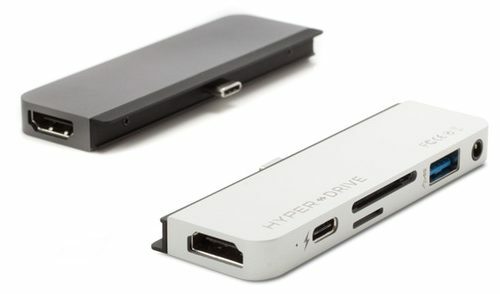 Connecting devices to HyperDrive is like connecting devices directly to iPad Pro via original Apple USB-C adapters. 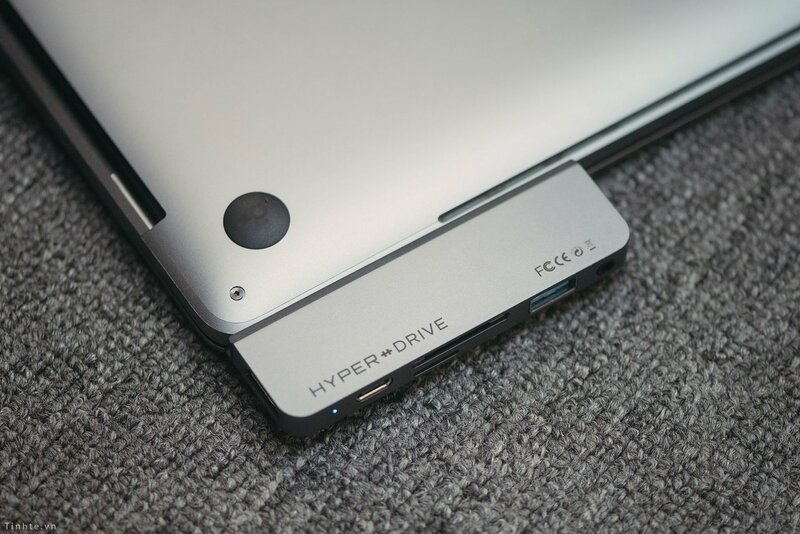 HyperDrive will be available in Silver or Space Gray. 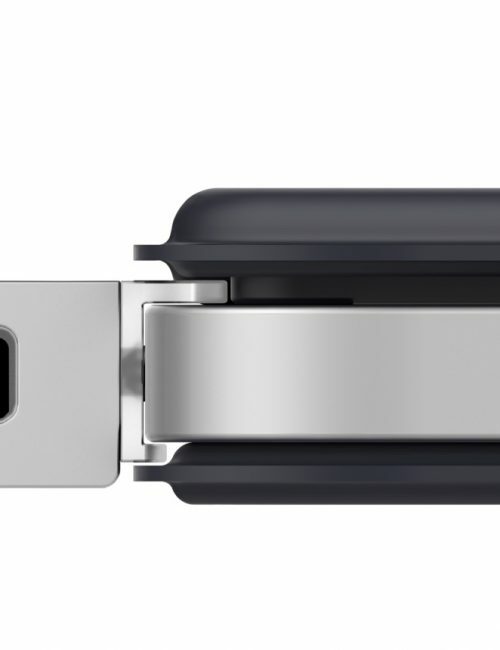 You will get to select your color via a survey sent out after the campaign ends.